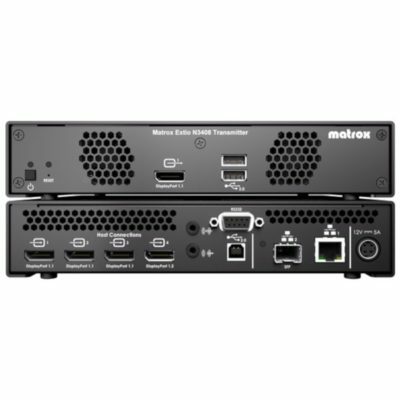 High Performance, Dual Display IP KVM Extender (Transmitter Card). 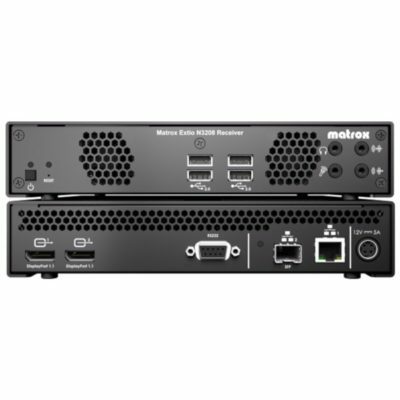 Matrox® Extio N3208 IP KVM extenders support dual-display configurations with exceptional performance over standard Gigabit Ethernet at unprecedented low bitrates. 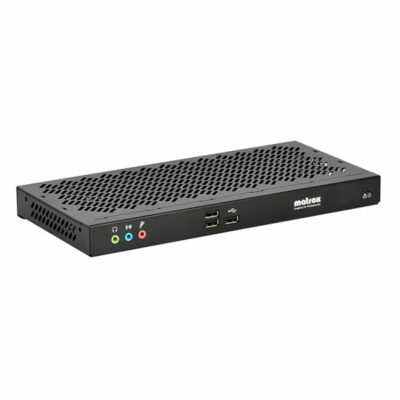 Extio N3208 can be configured as a point-to-point or networked KVM extender, extending multiple video, keyboard, mouse, USB 2.0, and audio signals using a single copper or fiber optic cable. Ready compatibility with standard network switches significantly diminishes the total cost of ownership to deliver a scalable KVM matrix switching solution.